Environmental protection melamine material is safe non-toxic and odorless. 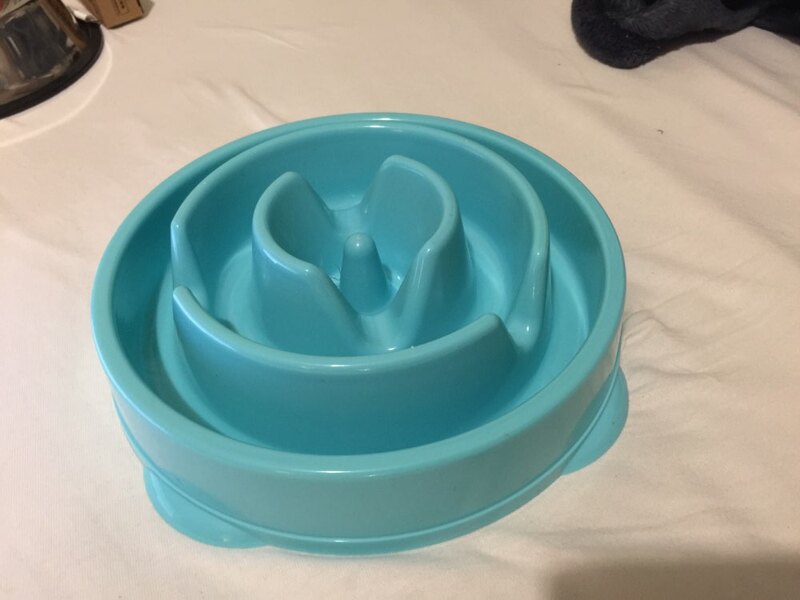 High quality material dog bowl is stable and durable, no broken even if dog fiercely bite it. Suitable for medium and large size pet dogs. 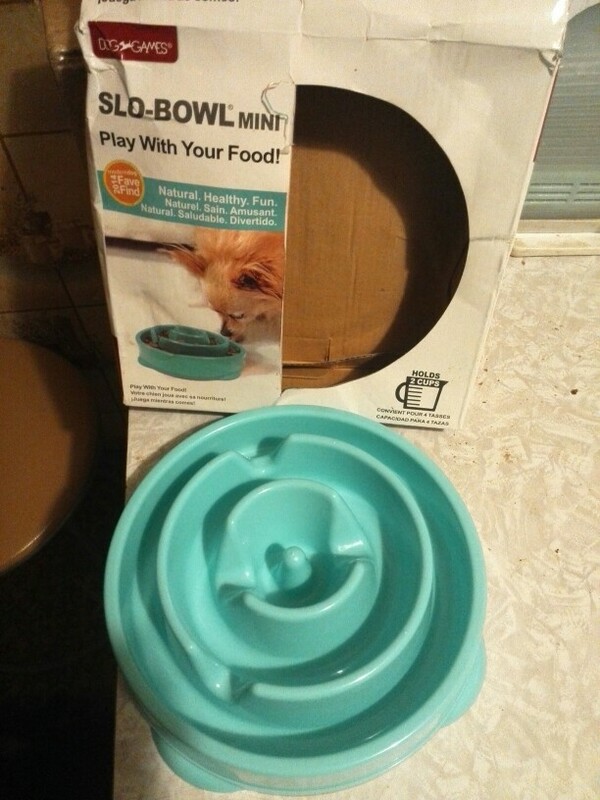 High-quality slow down eating dog bowl, made of environmental protection material, non-toxic and odorless. Stable dog bowl can bear dog fiercely biting, more durable. Heat-resistant material can be disinfected and cleaned by boiling water, guarantee the health of your pet dog. 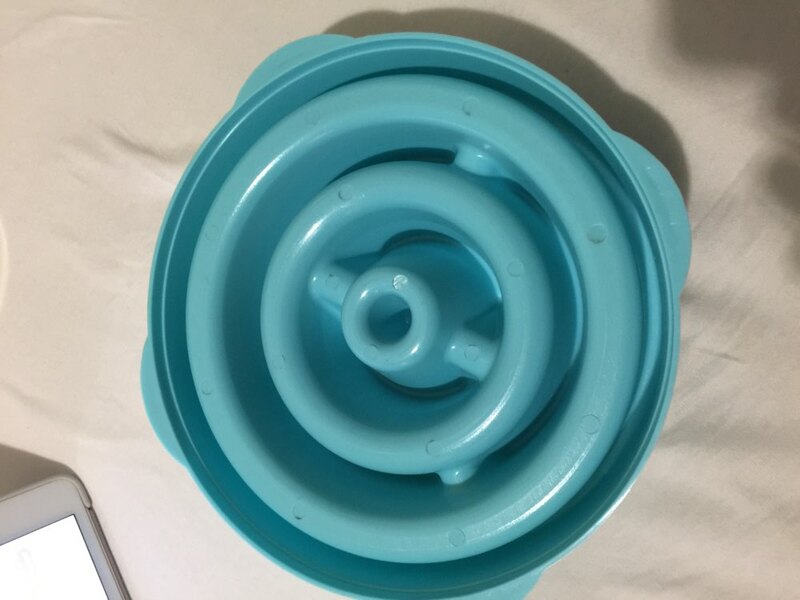 Round ring obstacles in the bowl can slow down the eating speed of dog, prevent the obesity and indigestion due to eating too fast, develop the intelligence of your pet dog, provides your pet dog a happy eating time. All for your pet dog’s health. Миска отличная, собака действительно дольше ест, видимо этим должен добиваться результат. Будем посмотреть! overall, a great transaction . 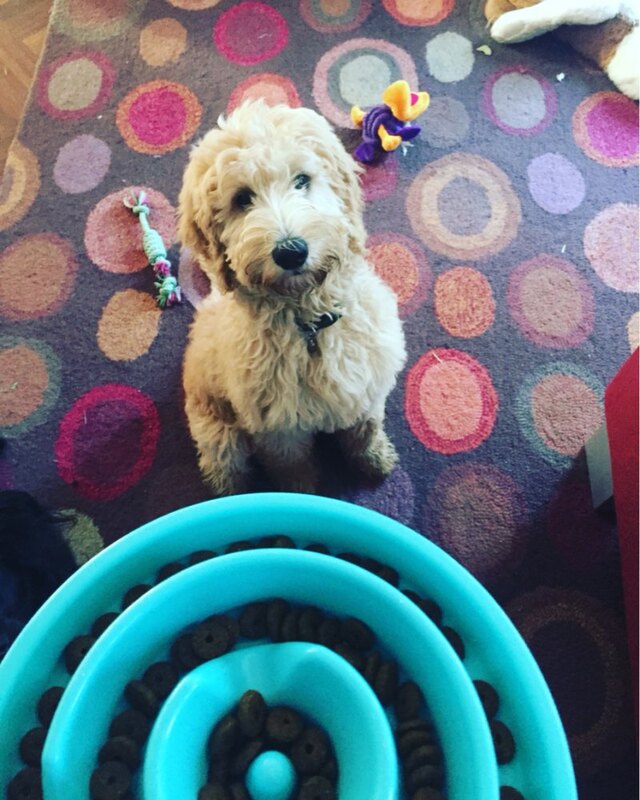 I just assumed the bowl was bigger from the picture of the Golden retriever. probably more suited for a sheltie or a beagle as it only holds up to 2 cups. Gut verarbeitet, ist ein Hochwertiges Produkt, ich empfehle es weiter. Muy bien. Tamaño perfecto para mi perro. Ahora come más despacio. Es un plástico duro y resistente. Great product for a great price. My pup always eats too fast and now she has to take her time. Shipment was fast, delivery took a while but worth it. 39 дней до Москвы, из которых 30 по Москве - любимая почта России. трек отслеживался до Москвы, миска классная, сделана из хорошего пластика,ничем не пахнет. Спасибо за сотрудничество, продавца рекомендую. único problema que hubo que abrir disputa por el retraso en la entrega.